Are you stressed out with your holiday shopping list? It’s a challenge we face every year at this time and it never seems to get any easier. But doesn’t the stress of the season and the way we rush around like crazy people completely miss the “spirit” of this time of year? Rather than be frazzled by the pressure of getting every person on your list the “perfect” gift, why not just relax and enjoy the moment, since that’s really what the holiday season is about. It’s not about the gifts, but the time we spend with one another. It’s not about the price tag, but the quality of the relationship. It’s not about the number of presents you get, but about the love with which it is given. 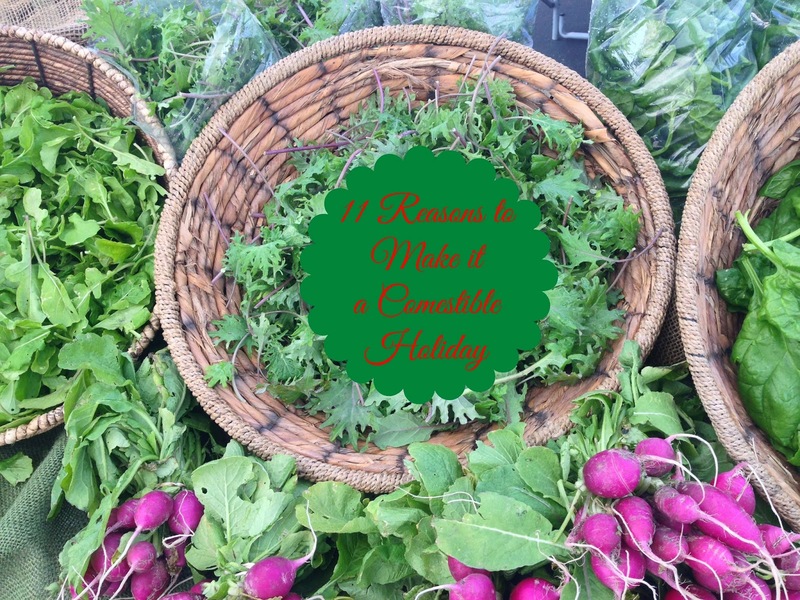 In the hopes that you will take the season in stride and really focus on the meaning of the holiday, I have put together a list of 11 foodie reasons to do your holiday shopping in a stress-free, warm and welcoming environment. A farmers market*. Whether your list includes bakers, carnivores or dog lovers, here’s some ideas that will bring you peace and the recipient joy. Because that is really what we should be celebrating, isn’t it? 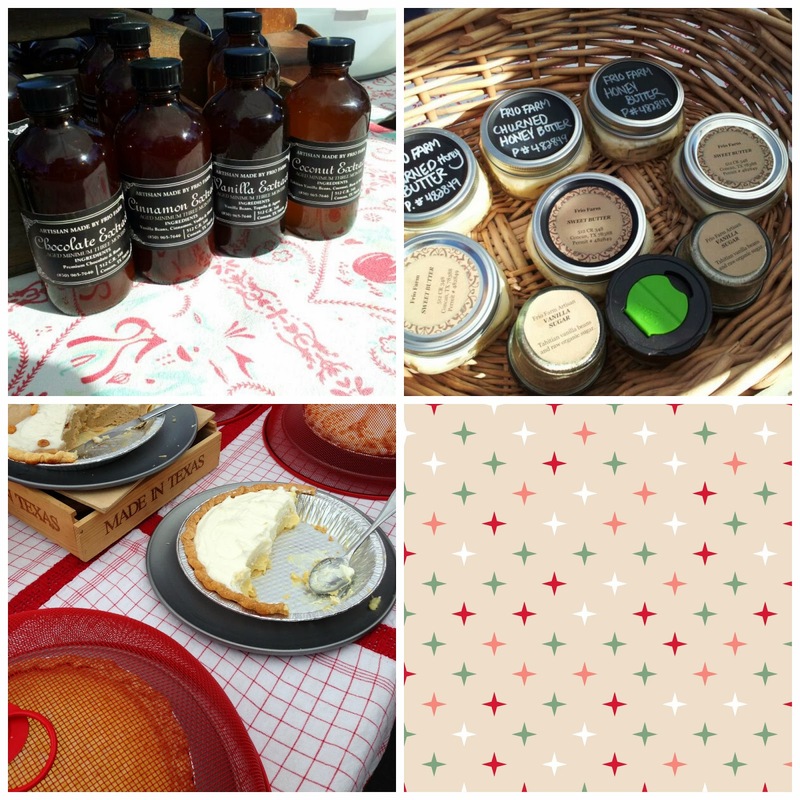 *Note: All of these items may be found exclusively at the Quarry Farmers & Ranchers Market, held every Sunday from 9 am until 1 pm. Enjoy a stress-free shopping environment with music and great edibles, plus the added bonus of knowing you’re supporting local businesses. And if you aren’t near this particular market, I bet there’s some fabulous farmers market lurking near where ever you might be, so go explore the options. If you haven’t taken a ride on the fermentation train yet, what are you waiting for? Kombucha is the latest to lead the new trend in fermentation. Yogurt, beet kvass, kefir, sauerkraut, kimchi and pickles are all examples of fermented foods and have wonderful healing properties. You may remember when I recently shared my favorite beet kvass with you and then we made yogurt a few years ago…I tried making kombucha at home on two different occasions and bombed. Both times. Needless to say, I love the ‘bucha but cannot and will not make it, so I am always on the look-out for the next best ‘bucha. But, honestly, bucha is like wine–each batch is a bit different and I really like that about it. 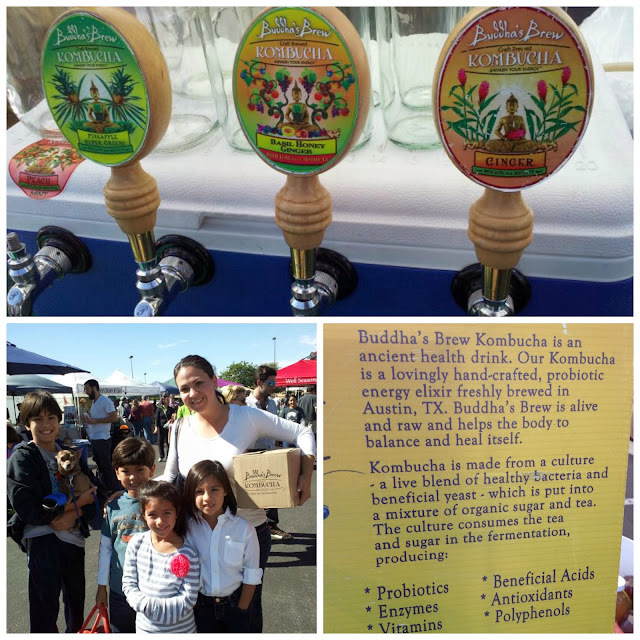 Fortunately, the market welcomed Buddha’s Brew Kombucha from Austin in early November. In two short months, it’s impressive to already see guests line up on Sunday mornings to fill their growlers with one of four flavors that are served on tap and others walk away with a case. 2. For the baker: Anything from Frio Farm. Nanette Watson is the woman behind the amazing flavors at Frio Farm. Everything she makes is special. Why? Because she churns her own butter and flavors it with different herbs or sweetens it with her own honey or dried cranberries. Because she makes her own Tahitian vanilla sugar. Because she makes her own extracts including chocolate, cinnamon and a wide variety of vanilla extracts. Because she makes her own jams and because she raises happy chickens who lay orange-yolked eggs. Then she takes all of these exquisitely hand-made ingredients, along with a few others, and makes incredible pies. Trust me on this one. While you can and should buy her ingredients, it’s her pies that are the talk of the town. They are mostly pre-sold before she even gets to the market which leaves the unprepared waiting until next week. But, that’s a good thing. Her handmade pies come in delectable combinations and are worth every single one of the 2,500 cents. What are you waiting for? The holidays call for something special and lamb is a wonderful addition to the dinner table. Hudspeth River Ranch recently started at the market and already people are talking about the lambs Alice Strunk is raising. Young and not at all gamey, just try HRR lamb for yourself. Texas’ premier lamb rancher is Loncito Cartwright who can’t produce enough lamb for the demand. Fortunately, Alice Strunk reenergized her great-grandfather’s love of raising lamb on the family’s multi-generational ranch in Comstock and she’s now supplying Loncito with young lambs. The moral of the story? 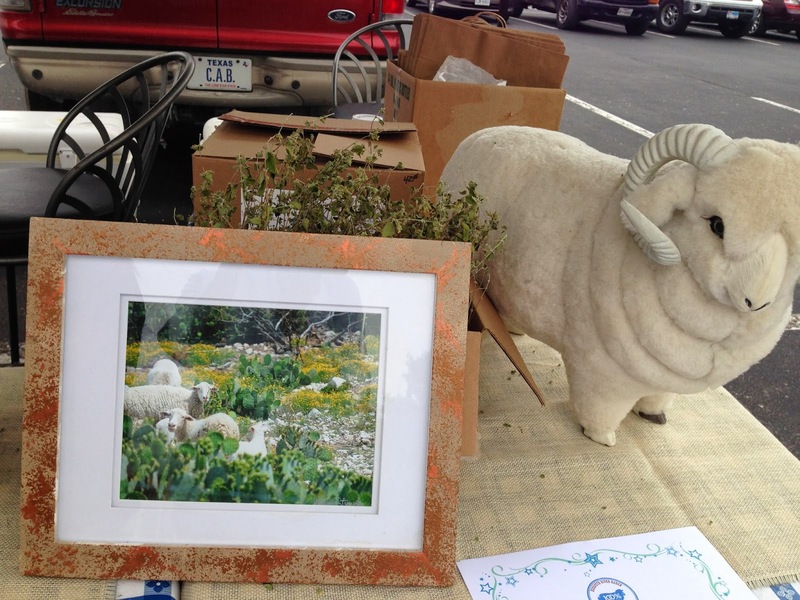 If these lambs are good enough for Loncito, they’re definitely what we want to offer you at the market. Have you heard the good news? 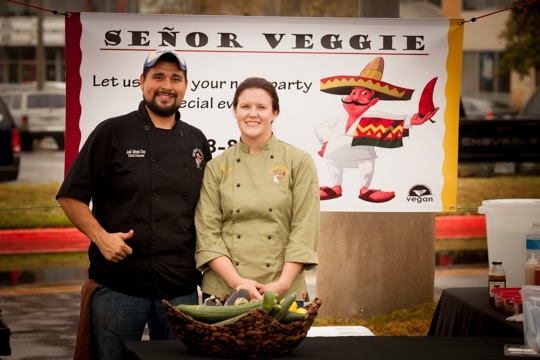 Señor Veggie is opening a restaurant in Southtown sometime in early 2014. Jose and Tiffany Cruz came to the market a year ago as a caterer and have consistently provided guests with fabulous vegan food. Filled with so much flavor, you’ll never miss the meat or dairy. The demand for their food warrants this new venture and we couldn’t be happier for them. 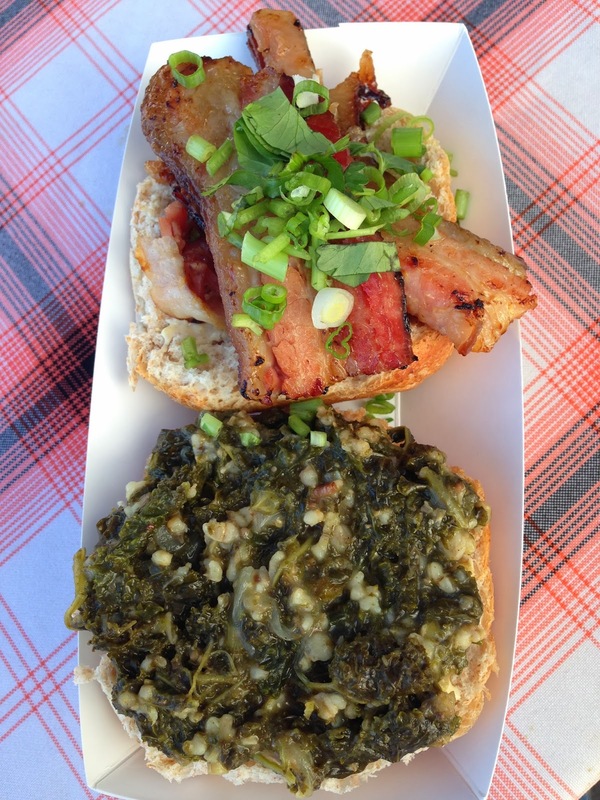 In the meantime you, can enjoy their food every Sunday at the market or let them cater an event for you. Looking for something a bit more colorful? 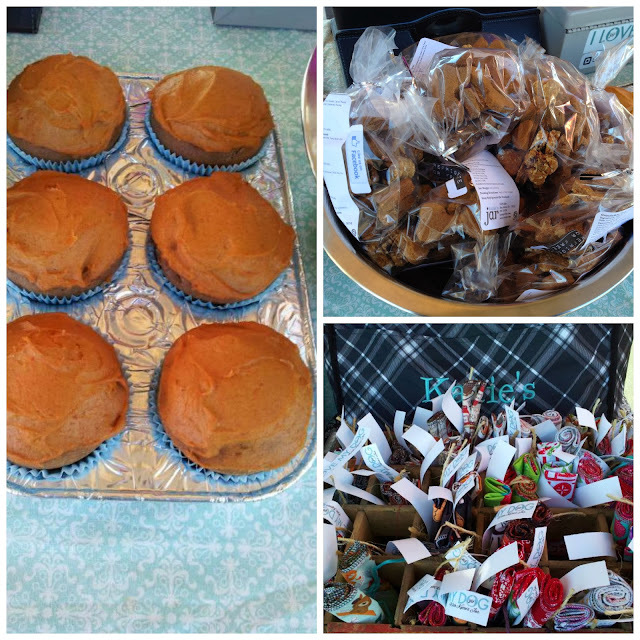 Choose from lots of bandanas, antlers, DIY dog treats kits or pupcakes for special celebrations. 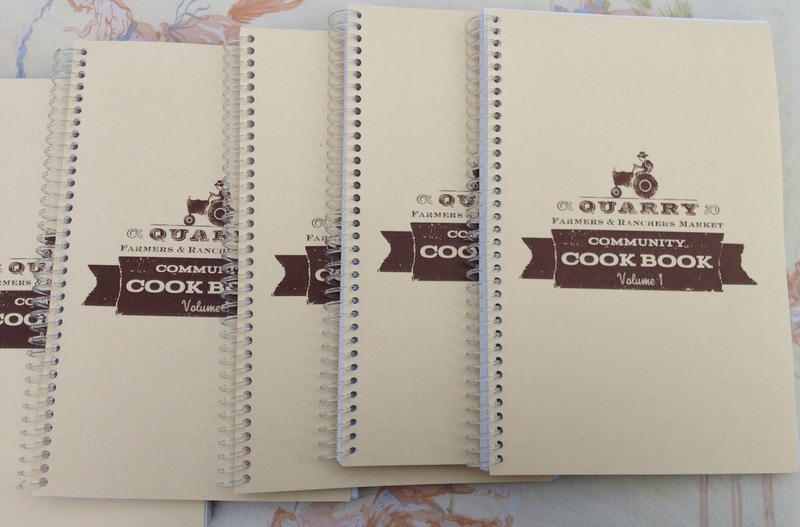 Compiled and edited by yours truly, this cookbook was made to inspire you to cook at home using the freshest, local ingredients. Filled with 79 seasonal recipes from market members, local chefs, culinary professionals, customers and other like-minded people, this rich collection of tried-and-true dishes will please the budding cook as well as the veteran. Stop by the market and pick up your own copy for $22–I know Santa always leaves a few things for me–and some for your friends and relatives. If you live out of town and want to place an order, please call 210-722-5077 and we can arrange for books to be shipped to you. San Antonio’s Asian food culture is pretty limited, which is why Ming’s Thing has made such a big splash in the community. Loaded with flavor and with a constant wow factor, everything Ming Qian whips up week after week at the market is feeding the community’s Chinese-Asian-German cravings. A member of the market for two years, Ming Qian is busy growing her catering business and creating a niche for herself since her food is so unique to this community. Whether it’s an intimate party of two or four or a larger group of 20, Ming will work with you to create a totally exciting and delicious Asian themed dinner party that will be indelibly etched in your guests’ memories. It wouldn’t be an insult to get the person you love a gift card or cleanse from Revolucion. 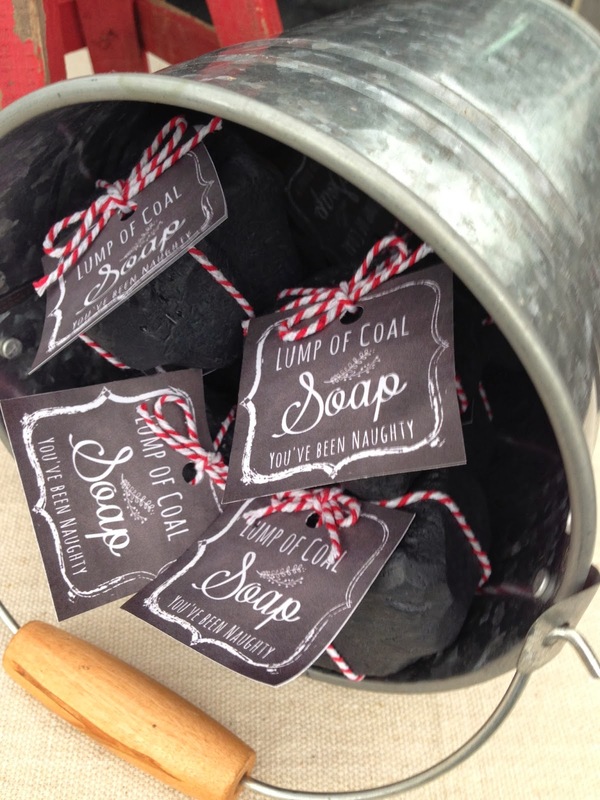 In fact, I think it would be a fabulous and thoughtful present for the health conscious person on your list. I know I’d gladly accept this tasty gift. 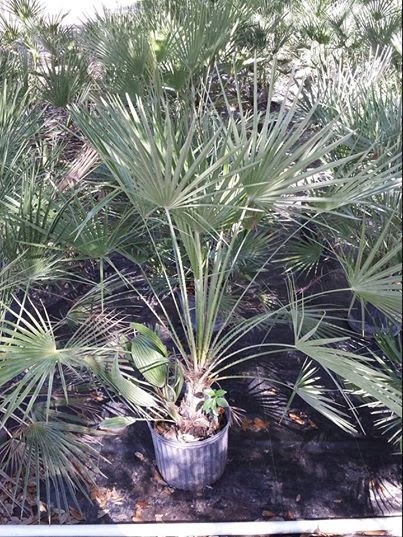 According to Mr. Green Thumb, Eric Gamble, now is the time to prep your landscaping for the spring. Whether you are looking to dress up your yard with color or need a consultation from an expert, let Eric show you the way to a blooming and green garden. If you know someone who is into mixology, pick up a few bottles of Cynthia and Cathy’s fabulous and growing lines of shrubs. Artisanal drinking vinegars are gaining in popularity with mixologists across the country, so get on the bandwagon. Made with fruit, sugar and vinegar, these are a flavorful gift idea that will definitely elevate your status in the eye of the recipient. 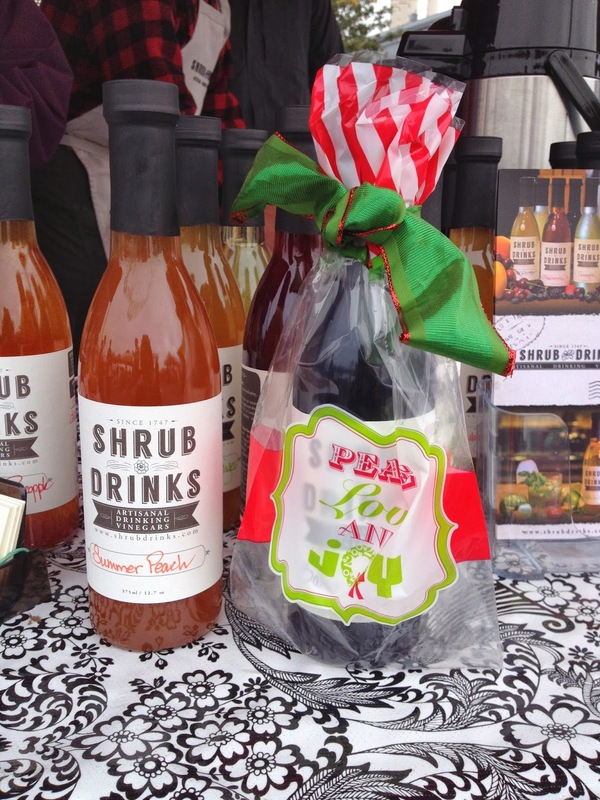 Shrubs are that “in.” Choose from such unique flavors combinations as Pear-Ginger, Texas Ruby Red Grapefruit, Tomatillo-Lime-Serrano, Apple-Lemon and Ginger or Strawberry, Balsamic Vinegar and Black Pepper. Not into spirits? Just add a glug of shrub to sparkling water for a festive drink. Wherever you are celebrating this joyous holiday season, be safe and remember the true meaning. And, as always, buen provecho.